It’s hard to believe that summer is almost over and fall is right around the corner. But we couldn’t be more excited for fall weddings! 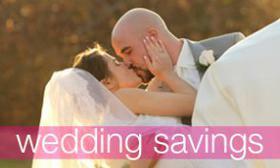 Fall is one of the most popular times to plan a wedding and for good reason! We love fall weddings from the décor to the colors to the flowers. 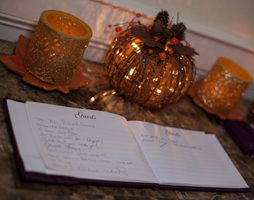 If you are planning a fall wedding here are a few tips to help you really take advantage of the season. Décor: When it comes to fall weddings think rustic. The warm overtones of the fall foliage are the perfect inspiration for your fall wedding. Go with warm and rich colors and materials such as chocolate brown or velvet. 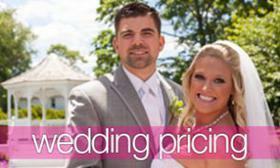 Flowers: Flowers can be a big part of your wedding and when it comes to fall weddings you can really get creative. Colorful flowers such as big yellow sunflowers give your wedding the perfect pop of color. You can even pair your flowers with bunches of berries or ring of leaves which help add to the warmth of the season. Favors: Your favors are where you can really have fun with your fall theme. Try channeling your inner kid with caramel dipped apples wrapped in cellophane, or offer your guests the spiced scent of fall with ginger bread candles. Invitations: Your invitations set the tone for your wedding so incorporate iconic fall pieces like a maple leaf or pinecone. Use colors and materials that draw on your weddings color theme when sending out your invitations. If you are looking to plan your fall wedding Canoe Club Ballroom is the perfect venue for you, our outdoor ceremony space showcases the beautiful fall foliage while our ballroom boasts the largest dance floor in New England. 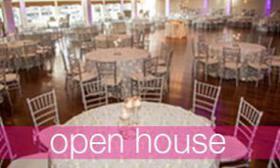 Contact us today to take a tour of our facilities or stop by on Saturdays for our open houses!